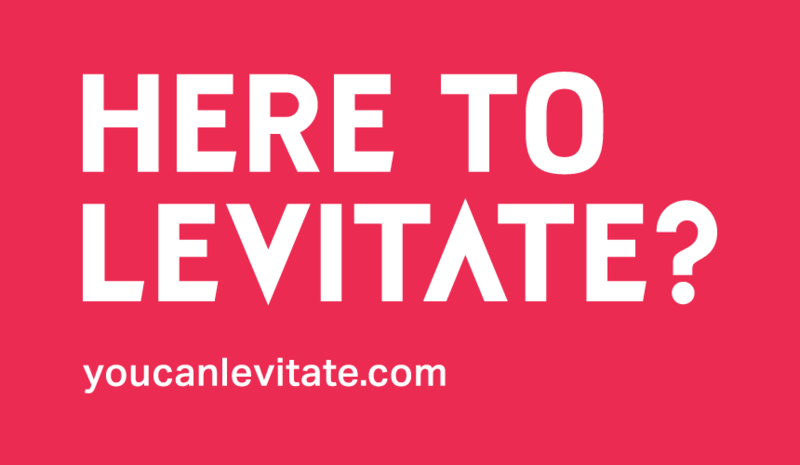 Levitate – It’s Time To Levitate Birmingham! We are counting down the days until we bring you the first Levitate Summit and Levitate Live event, brought to you from the Custard Factory on February 26th! If you haven’t registered for tickets yet make sure you do by clicking the linked event names and signing up – these places are free and limited so do it now to avoid disappointment! Okay so the team is busy putting the last last finishing touches to the day and we are really excited to unveil to you all exactly what we have all been working on, however before it all gets under way, we want to share with you a word from the people who are working on the event to give you a little taster of what you can expect! Professional Incredibles specialises in new art and music, community, ceremony and celebration and works on a national and international level. Professional Incredibles are behind some of the city’s best loved cultural events with World Music and Art at the core. “Professional Incredibles’ portfolio, while varied, strives towards a consistent aim. We convene communities around common ground, reinforcing human bonds, strengthening peer to peer relationships, and motivating collective output that exceeds the sum of its parts. Through Brum Spirit, we have achieved this through cultural exchange in communities here in Birmingham, Brazil and France since 2010. Now we are adapting this approach to the music industry through Levitate: Birmingham Music Week. We chose this name because you’ll find in music some of the hardest working and most resilient entrepreneurs around. Promoters, musicians, producers, labels and venues alike will start with nothing except passion, and those who stay the course to make a career out of this art form often do so despite the odds – as if by magic. Professional Incredibles have this conviction that, by working together and sharing expertise, the sector can help itself become even more resilient. Alfie Bird’s is based in the creative quarter in Digbeth’s famous Custard Factory. Alfie Birds is new addition to Digbeth, who bring a delightful mix of live music events and delicious food across 4 floors. Creative Hertz is run by audiophiles driven by a passion for pure sound, dedicated to high performance sound systems to enable music to not only be enjoyed; but embraced. Our desire is to restore aural precision to enthusiasts and revellers alike. Creative Hertz is committed to high fidelity sound reproduction and offers custom designed, hand built, pro-audio solutions for the discerning music lover, venue owner or promoter. Partnered with artists, DJs and selectors for a complete offering in music culture. They began their business venture after organising music events which were all too often hampered by poor quality venue sound systems, 7 years and countless hours of research paved the way to the inception of Creative Hertz Ltd, with the aim to restore quality acoustics to the industry. “We got involved with Levitate because we hope to improve people’s perceptions of Birmingham’s scene through an even deeper desire to restore people’s emotional connection to music. We believe that collaboration is the best way to make change for the better (and indeed it has been through friendships and collaborations which has brought us to this point), and with Birmingham’s recent recognition in the public eye as an alternative to the country’s capital, we, as individuals, want to help and grow the industry in which we are already so joyfully involved in. Birmingham School of Media is a recognised centre of excellence in providing media education in the UK. Birmingham City University is located in Birmingham, which allows the School to tap into the wealth of knowledge provided by the creative companies and enterprises that are based here. Birmingham City University place a strong emphasis on collaborating with businesses and other universities, and support students to gain meaningful workplace experience within creative companies. Birmingham Music Map in an in-house prototype from Levitate, and draws its inspiration from The Birmingham Art Map – a self sustaining crowd funded promotional tool by Birmingham based designers An Endless Supply, which brings visibility to the fine arts sector. The map is a collaborative project between Wild Ilk and Endless Supply, who will be working to create the Birmingham Music Map – a dynamic map showcasing over 40 events, retail and live music venues in Birmingham. There will be 10,000 copies of the Birmingham Music Map, along with a digital copy held on the Levitate website, (Live from February 1st) and a downloadable PDF version, also available from the website from February 1st. Endless Supply is a design studio based in Birmingham, UK, who have been commissioned by Levitate to design and launch Birmingham Music as a prototype for the city’s music industry. Wild Ilk is a graphic design company working in applied art, branding, print and web design. Based in Birmingham and Berlin, we create unique design solutions for clients in the music industry, higher education institutions and private companies alike. We try to be as experimental as possible with our processes with the aim of creating unique and lasting pieces of design. Kambe Events is a dynamic and highly experienced company from Birmingham, producing award-winning creative events and campaigns with sustainability at their core. The team have a wealth of experience ranging from grass roots and community projects to delivering events for over 80,000 attendees. Kambe offers a range of event production services, creative content programming and environmental campaign experience. Their ever expanding portfolio of successful events includes Shambala Festival, one of the most ground breaking and highly respected independent festivals in the UK. “Kambe Events is pleased to support Levitate and is concurrent with our aim to raise the profile Birmingham’s music industry. Kambe is all about community, encouraging social harmony and positive futures through events that engage. A platform such as Levitate, designed to bring people together, can only help the industry to thrive. The Custard Factory is the UK’s leading destination for creative and digital businesses, independent shops and alternative culture outside of London. Set in 15 acres of beautifully restored Victorian Factories, just five minutes walk from the Bullring, it is the heart of Birmingham’s buzzing creative and digital district. From the dessert revolution to the digital revolution, the Custard Factory has been at the centre of Birmingham’s history as an innovative, globally competitive city where great ideas take shape and where things are made that change the world. “Birmingham has a strong musical heritage and the music industry will play a key role in developing our reputation as a world class creative city. The Custard Factory quarter is home to some fantastic music industry companies, such as Capsule who organise the Supersonic Festival, Access to Music, Punch and Mubu Music just to name a few. James is responsibility for specific long-term partnerships and programmes, designed to bring growth to the Creative Economy. These include taking forward the aims of Festival Birmingham and developing a Calendar of Festivals which will celebrate the city, its artistic and creative diversity to residents and visitors alike. James also works with in the city’s music industry. With a local Music Industry focus James looks to find ways to support it to grow its own voice and build effective links with the city council and other agencies, with the aim from 2015 the council will look at ways to celebrate the city’s music heritage to a wider audience. “Levitate is a significant moment for the Music Industry in Birmingham. The old model of councils or other agencies leading on industry development is unsustainable and does not truly represent the aspirations and potential of local creative sector industries.